Ben Foster’s new exhibition Sculpture celebrates his most recognizable and loved works alongside a new playful series that sees the artist experiment with scale, colour and movement. Living in Kaikoura, Ben’s surroundings inform and inspire his practice, using the native wildlife and natural geometries of the mountainous landscape. Foster’s elegant, geometric forms balance between realism and design. With both animal and human forms alike, Foster pairs back natural forms to focus on line, symmetry and scale juxtaposing the natural and man-made. The Four Brothers, a collaboration with GHD Woodhead architects, Christchurch. Collaborative project with GHD Woodhead: The Four Brothers - a pedestrian bridge concept for Christchurch CBD. Ben Foster concept sketch ‘The Four Brothers’ pedestrian bridge, Christchurch CBD. ‘Benjamin’ by Ben Foster will feature in the SUMMER SHOWCASE at Sanderson Contemporary, 19 December to 27 January 2019. Summer Showcase presents a forecast for 2019, offering a glimpse into the exciting programme of exhibitions and events that Sanderson Contemporary have in store for the next 12 months. The gallery’s programme for 2019 includes major new exhibitions from their stable, curated group shows, and exhibitions from guest artists, as well as participation at local and international art fairs. 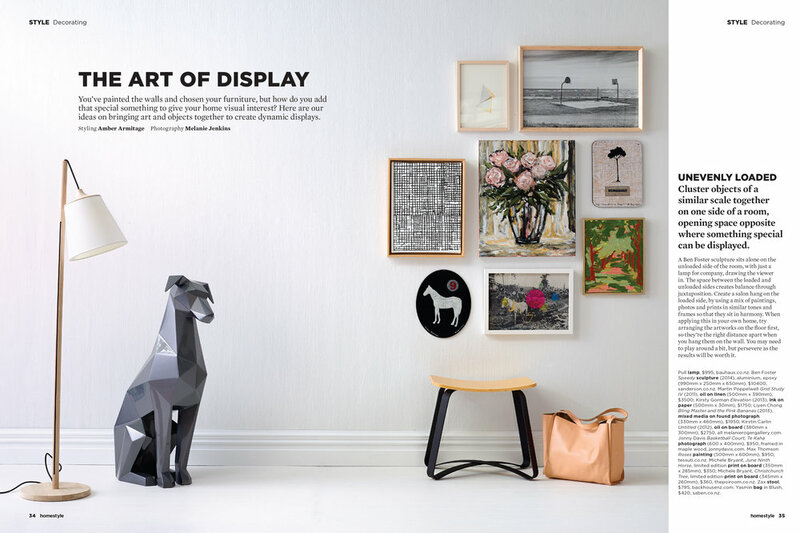 Summer Showcase brings together impressive new pieces from their stable alongside exciting pieces from guest artists. 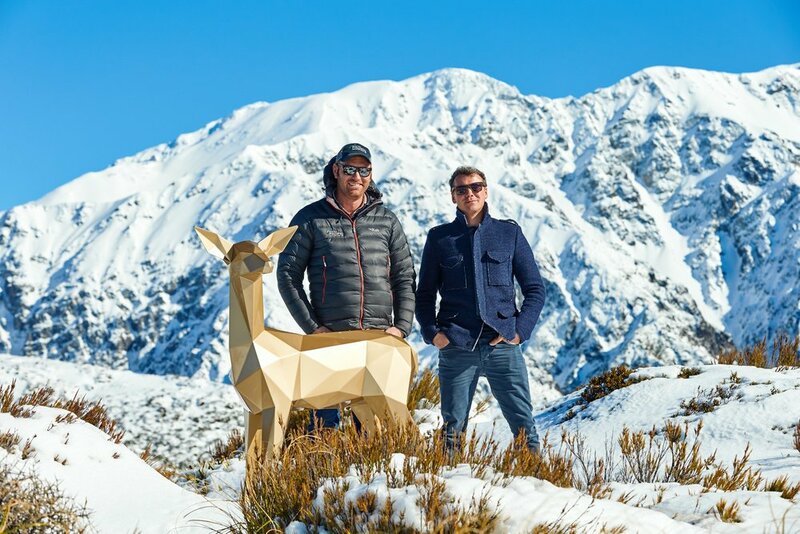 Ben Foster's latest gold deer found itself in an alpine setting thanks to a collaborative effort with Kaikoura based Daniel Stevenson of South Pacific Helicopters and Andrew Spencer Photography. 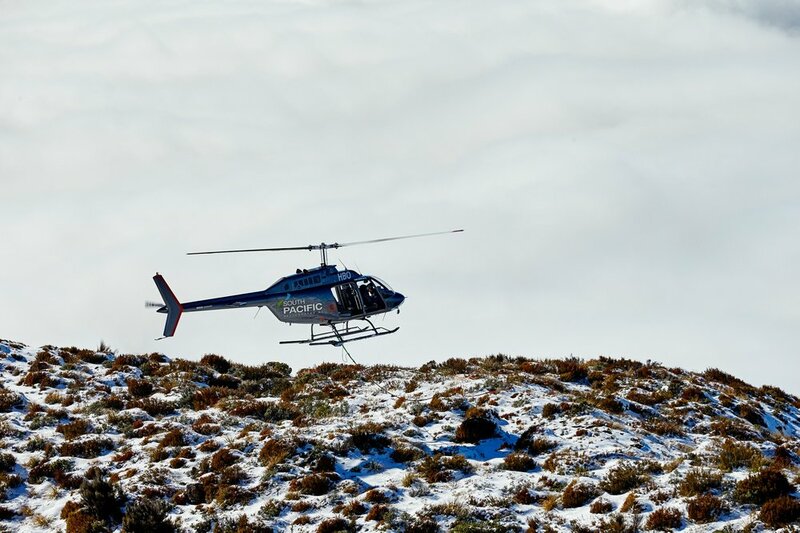 Fresh snow and blue skies ensured a dream landscape for a photo shoot in the majestic seaward Kaikoura ranges this week. A recently completed work, the Bear & Ballerina marks the first of a new series of works to be exhibited in 2019. In this latest work Foster engages abstract geometric form to capture various fantastical creatures, with immaculately constructed sculptures in artfully finished aluminium that are playful and instantly familiar. His new body of works for 2019 show works of increasing subtlety, as Foster draws contrast between light and shade, human and animal, beauty and power. 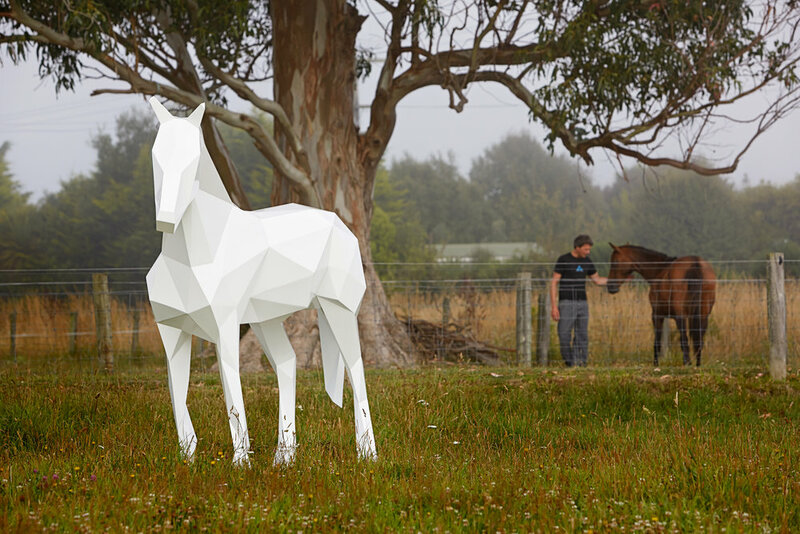 In his latest work Ben Foster engages abstract geometric form to capture various creatures, with immaculately constructed sculptures in coated aluminium that are playful and instantly familiar. Spectrum shows works of increasing subtlety, as Foster draws contrast between light and shade, human and animal, predator and prey. MONUMENTAL GOODBOY FOR WASHINGTON D.C.
A large new work based on the much loved GoodBoy work of 2012 commissioned by the The Morris and Gwendolyn Cafritz Foundation, U.S. will soon be installed in Washington D.C. This new commission stands at a colossal 2.5 meters tall and will be airfreighted to Washington D.C. for installation in early 2018. There are two things that Ben Foster most certainly knows how to do well—create gorgeous industrial versions of animal silhouettes and compose a damn good photo. It's not just luck or coincidence, either. There's a reason his work looks so fantastic nestled among the lush New Zealand scenery.